The Housing And Urban Development Corporation Limited is a Housing industry and one type of the Public sector undertaking. It was founded in 1970 and main headquarters is placed at New Delhi. A key person of this HUD Corporation Limited is a V.P.Baligar. India has a big population country there is a million of population in this current census and out of which 27.8 percent live in urban areas and the increase of 2.1 percent in the proportion of urban population in the country and this HUD corporation enhancing the productivity of urban areas it is now central to the policy pronouncements of the Ministry of Urban Development. 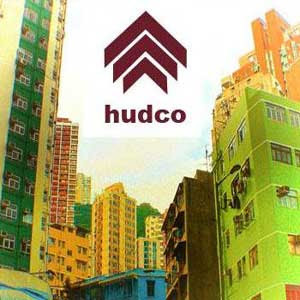 HUDCO follow the vision that is they provide finance to the customer for a long period of the time and developing urban housing programmes in the country. This whole corporation is owned by the Union government. Satellite town or satellite city is a concept in urban planning that refers essentially to smaller metropolitan areas which are located somewhat near to larger metropolitan areas this satellite towns setting up by the HUDCO. They also finance or undertake the industrial enterprise of any building material which is used for a construction purpose. They provide material such as clay, sand; wood and anything have been used to construct building. HUDCO also issued debentures and bond by the urban development Boards. Mail focused of this corporation is the urban infrastructure. Main aim of this corporation is that the urban development which led to the launch of urban poverty. They promote and assist urban development programmes in India and abroad. It is essential to achieve a world class urban system and financing the urban infrastructure. This urban development and urban housing department came into ewistence in july 1983. They planning and valuation in this department and they designated as area development authorities for planned urban development in the state.